The Beautiful Disaster Half Hoo is a little sweet and a little sassy- just like you! 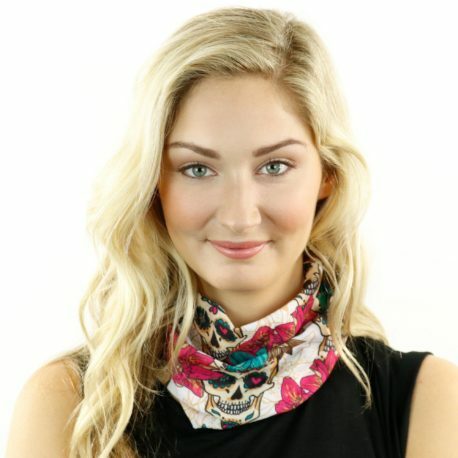 A mix of sugar skulls and colorful flowers make this the perfect Half Hoo to rock with jeans and tee or your favorite fitness gear. Love it. It stayed put!! LOVE this headband! Not only is it a gorgeous print! It fits and stays put! I discovered Hoorag by doing a search on a headband that stays put! Lol! Soooooo happy I discovered this awesome company! Looooove my Hoorag! This print is gorgeous. I’ve received many compliments while wearing it. After cancer treatment, including chemo, my formerly straight hair has been growing in curly and wild! I’ve tried cloth headbands to pull it back, but none stayed in place like my Half Hoo! Love it! Not only are they gorgeous they work amazing on my runs! I will be ordering more. 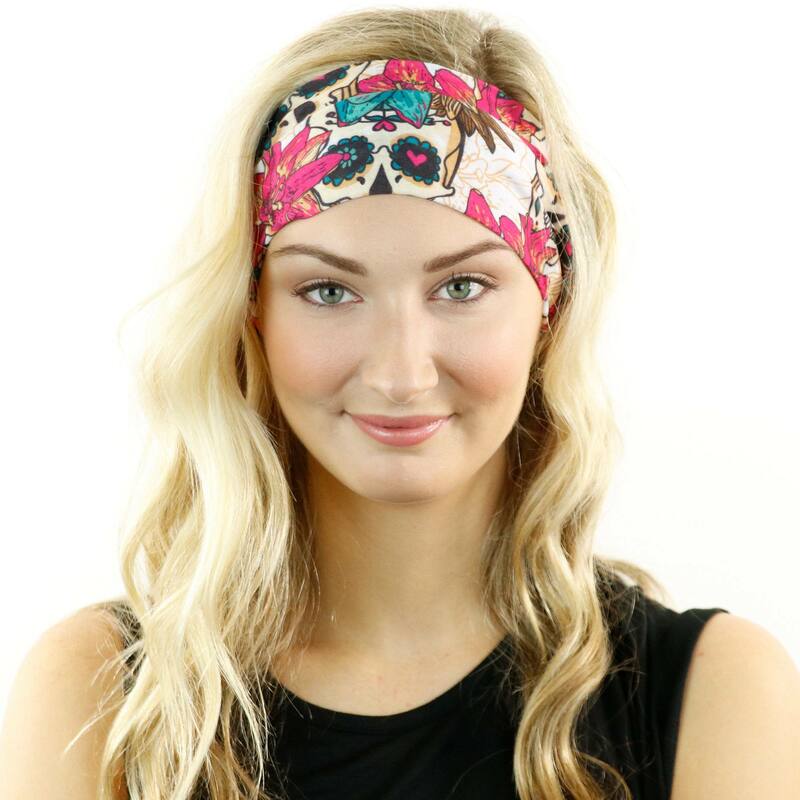 I wear these as headbands to do CrossFit, love them! And such fun colors and great designs. Love this hoo-rag…wearing it daily.Everyone around here looks at me when I have it on. I think they like it too. 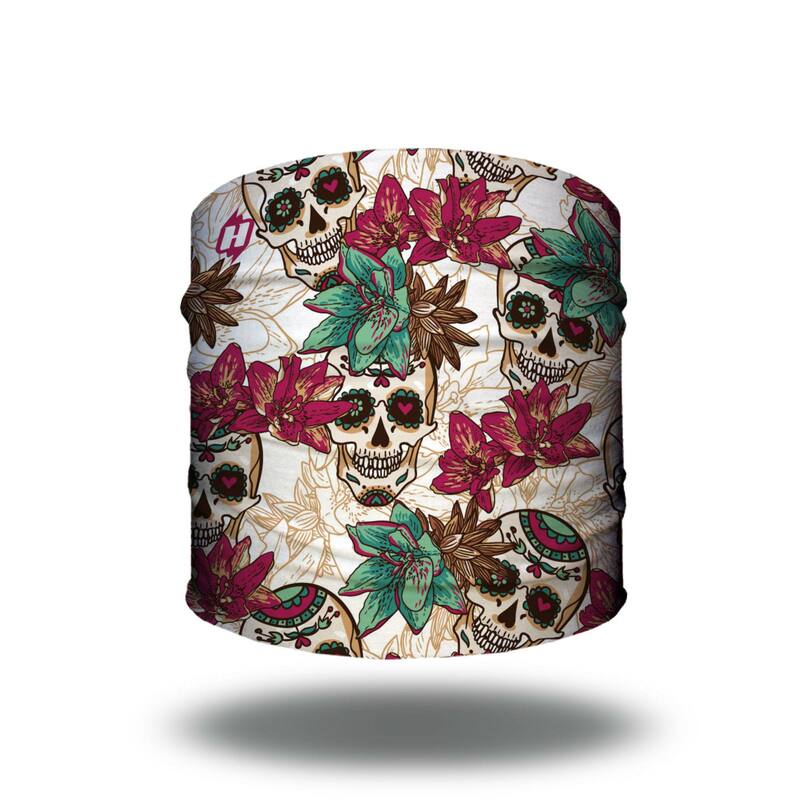 one of my favourite designs…. a little gift for myself. Amazing! Love this pattern and also love that they don’t slide off!!!! Half hoo’s are my favorite over the fulls!!! Only bandana that doesn’t slide! Absolutely love this half Hoo. Have quite a few full size ones and wanted to try a half for awhile now. Such an awesome design idea! Beautiful patten and just the right size! I’m veeeeeery much a girly girl. I’m not a huge skull fan, but this pattern was just so cute! And it’s even cuter ON! I highly recommend this company and will continue to be a repeat customer. Definitely give them a try! So excited for the 1/2 hoo’s, they make such a great headband! Love this print and the colors! Sometimes half is just right! I’ve been wearing it on my wrist to cover a brace after a little surgery. Works great! I absolutely love the half hoo. When you wear it on your head it isn’t as tight and I like that. I like it better for warmer months because it isn’t doubled up like the original hoo which I love for the cooler months. I absolutely LOVE these 1/2 hoos! I pretty much wear mine everyday! They fit perfect! They don’t slide off! The patterns are super cool! They are the only bandana I will ever buy! I primarily use my Hoo’s for running in the great state of Wyoming. I’ve used these in the summer months so I’ve washed mine several times. They have yet to lost their color or elasticity! They’ve traveled several miles and work wonders during the winter months when a full beanie is just too much, perfect for face wear while on the slopes. Would highly recommend these for the ladies. My daughter loved this one! Had to order her one so she wouldn’t steal mine!